Home › Study › News › French language teaching assistant, a fantastic experience! 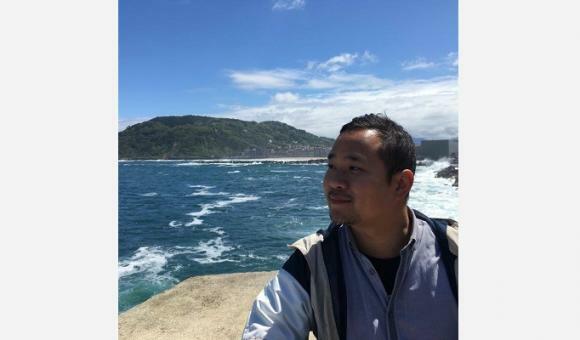 Minh-Tri Tran, who has a master's in modern languages and literature as well as an additional master's in FFL, received a grant from WBI to teach French in Spain for 2 years. Read about his experience. Minh-Tri Tran, who has a master's in modern languages and literature for teaching (English-Spanish) and an additional master's in FFL, spent 2 years (2 x 8 months), from 2016 to 2018, in Spain to teach French as a foreign language (FFL) in a language school (“Escuela Oficial de Idiomas”), in collaboration with the local teacher. This school is located in the Castilla-La Mancha province, a region in central Spain, and teaches adults with different levels in French. Minh-Tri Tran went as part of a cooperation agreement signed between Spain and the Wallonia-Brussels Federation. This experience enabled him to discover another culture and another language and to promote the French language via themed workshops and conferences. He also discovered different working methods and the culture of the local school by taking part in both intra- and extra-curricular activities. Having taken part in this transfer programme, he had the opportunity to obtain 2 years’ internationally-recognised professional experience (via Europass Mobility) supervised by WBI and the host authority. The French language teaching assistant programme in Europe sends graduates (or nearly graduates) from the Wallonia-Brussels Federation to a foreign primary or secondary school or university for 8 months. They will support the local teach to improve learners’ oral skills. This programme immerses them in another language and culture outside the classroom and at they same time they are ambassadors for their own cultural identity.